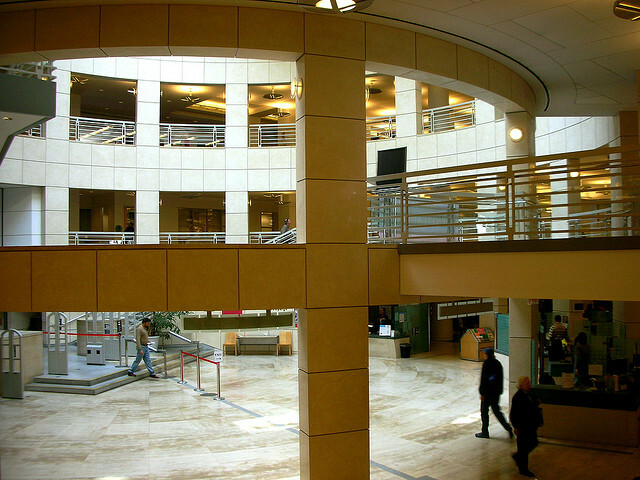 Join Past-president Jane Lindsey for an encore tour of the areas of genealogical interest at the San Francisco Main Public Library. 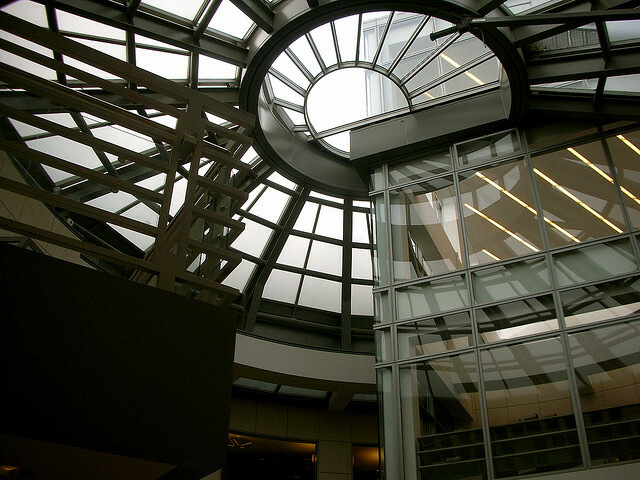 Attendees will gather at 11:00 a.m. outside The San Francisco History Center on the sixth floor and split into two groups for a tour led by San Francisco City Archivist Susan Goldstein and library staff. BART will be the transportation of choice. Travel to the Civic Center Station and walk towards the large blue medallion painted on the wall, then up the stairs or escalator. The library is across the street. After the tour, members will gather to learn about the online catalog and the many San Francisco records the library has recently digitized through Archive.org and FamilySearch.org and how to access them. If you don't already have a San Francisco library card this will be a great opportunity to get one. Residents of California with identification may obtain one for free. Applications are available at the Main and must be submitted in person. Detailed information is available at the library website. Attendees may want have lunch together. 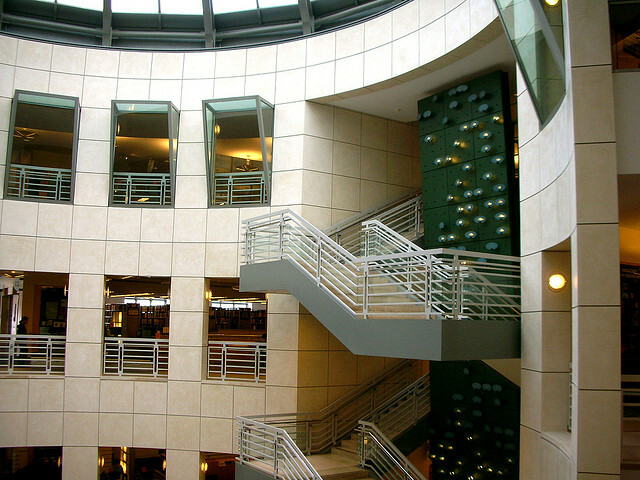 The Mint Café is located on the lower level of the library. Café Asia at the Asian Art Museum is close by. This field trip is organized for members of the California Genealogical Society. Non-members interested in participating are encouraged to become members. The maximum group size is forty members. 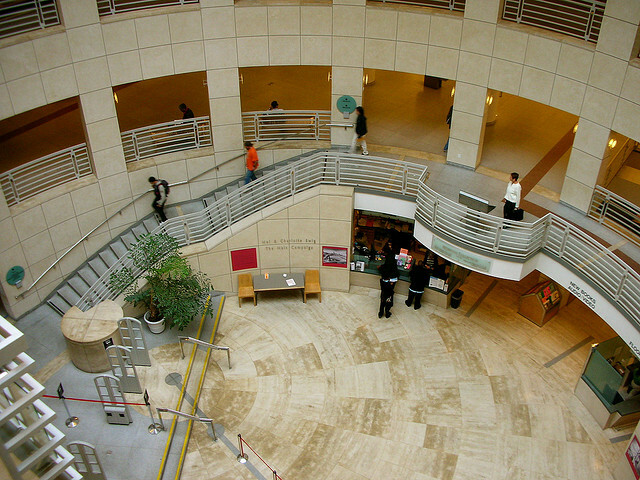 Photographs of the San Francisco Main Public Library by Sameer Vasta, October 24, 2006, Creative Commons License. I have visited there before bus tours from los angeles. This library has a wide collection of books about history, art, geography and a lot more. This is what a library should be. Be aware that there are lots of vagrant types who hang around inside the library and use the computers, which is good as (hopefully) they are looking for opportunities, but also a drag if you are trying to look up where a book is.